This week’s original comfort zone challenge had to be postponed, so a last minute replacement challenge was undertaken instead. 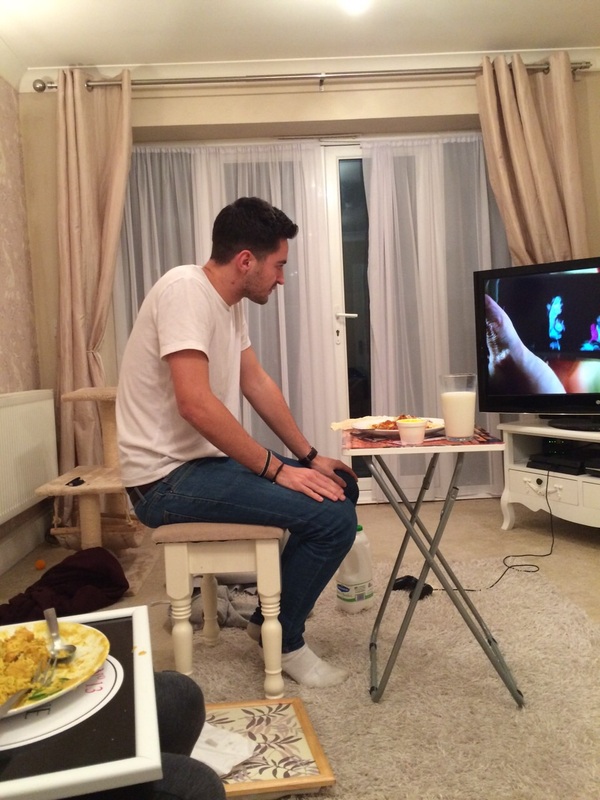 Saturday evening, takeaway curry night, with the boys, in front of some awful Saturday night TV. These are usually, one of my favourite evenings, eating the joyous mix between colourings and flavours, whilst in the comfort of my own home. I’m not normally too risky when taking on a bit of spicy food. Typically, I tend to go for the Chicken Tikka Masala or the Butter Chicken type meals on the Indian menu. In fact, on the Nando’s Lemon and Herb to Extra Hot spice chart, I push the boat out to a medium and that is testing me. It’s not my thing, so when asking my mates what to do last minute, eating something spicy seemed the obvious choice. 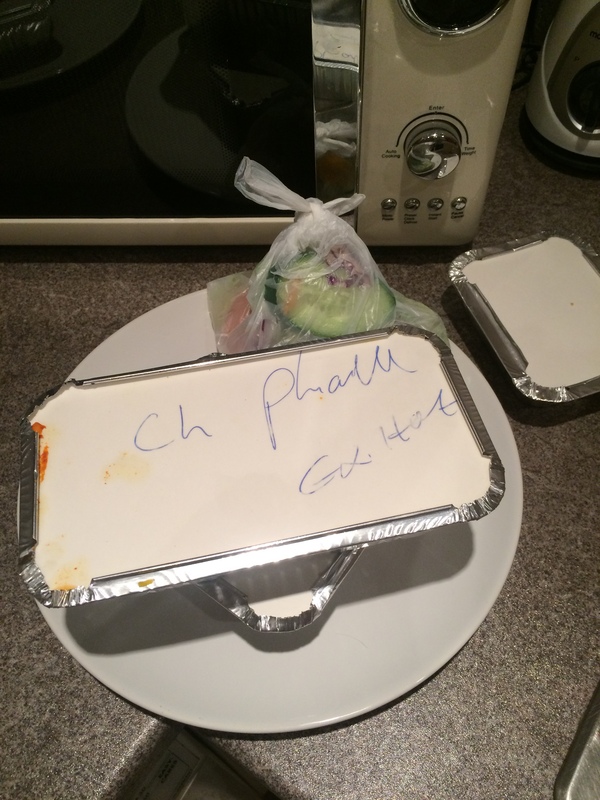 We all agreed, I’d attempt to take on a Phall from our local takeaway. To make it worse, when ordering over the phone, my mates thought it would be hilarious to ask it to be extra hot! (No worries, I’m paying for it). Lesson learnt, week 5, make sure you always order. I stocked up with a 4 pint carton of milk, purely because I had heard it’s the best remedy for curing spicy food. I actually did no research on this prior to eating the curry, and I’m questioning if there is any truth in this, as it certainly did nothing for me. The food arrived, and the dread of the task kicked in. I started by poking the end of my finger in to the sauce and licking it clean, to get a feel for the heat I was about to take on. It was outrageous. Instant burning in my mouth. I even got my friends to do the same, after which they were annoyed it was going to ruin their curries (ruining two korma’s I must add!). Like a pre match football speech, I got myself in the zone. “One plateful, mind over matter, I can do it.” I put on the video, gave myself another little pep talk, took the first mouthful and let the pain begin. Rather than the usual feeling of delight and relish, the feeling was of stress and regret. My mouth and tongue were just tingling with fire all over, all I could do was swig away at milk and take in deep breaths in the hope it would cool my mouth down… It didn’t. As I slowly made my way through the dish, I worked out taking bites with chicken were easier, as the chicken itself wasn’t filled with spice. I also came to the conclusion that the bigger the spoonful, the quicker this would be over and done with. The milk was my only friend (my real friends were only good for laughing at me), as I was overcome with sweat and discomfort. The heat in my mouth actually became a background thought as it didn’t get any worse from the first bite. What I didn’t expect was my stomach not liking the spice. I genuinely believed that once the food was in the stomach, there would be nothing to worry about. Of course this wasn’t the case, that would be too easy. Once I got to about two thirds of the way through the plate, my stomach was saying no more. Whether this was because of the three pints of milk in about 15 minutes or because of the hottest thing my body has ever tasted, I don’t know but I physically couldn’t eat anymore. Yes, I threw up. I ran to the toilet and it ALL came back up. Without going into details, this was just as painful a process of the process of putting it down my body. The spices left their mark as they said goodbye’s after their brief stay in the body. I’d love to write, ‘eating a Phall has completely opened my mind, and I will eat them every week now”. I’d be completely lying. It was horrible, I didn’t enjoy any second of it and I never want to eat one again. I’m now going to pronounce it as a ‘Foul’ rather than a Phall. I’m genuinely amazed though, that people can eat Phalls and enjoy them.. I’d love to talk to someone that does, having tried it for myself now. It’s safe to say I won’t be appearing on Man vs Food anytime soon. I tried to video the whole task, however my phone ran out of space midway through… Here’s where I got to and the end result (not for the squeamish). 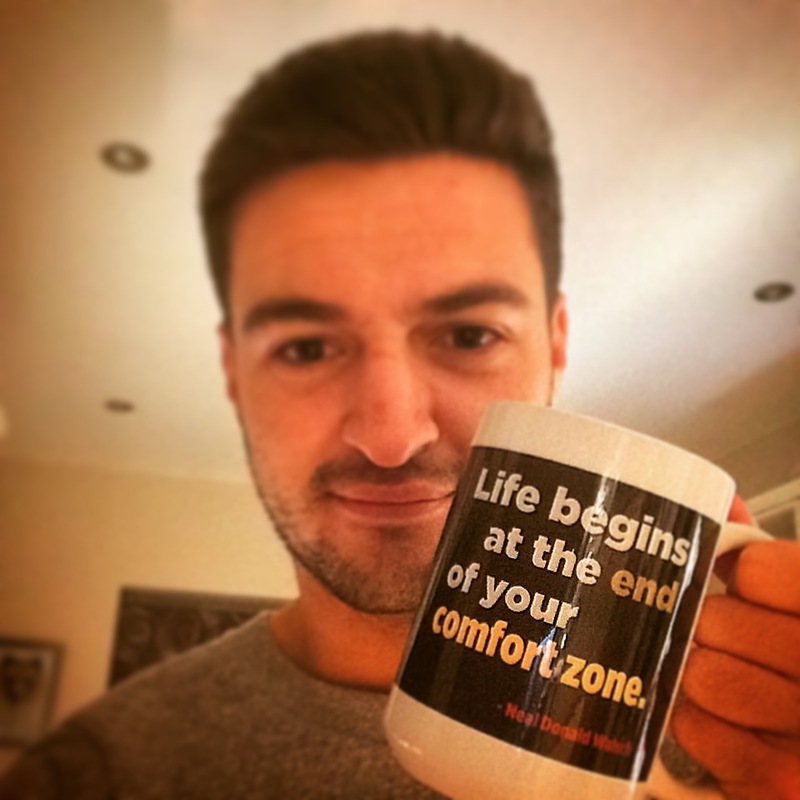 Which one is the mug?